It's been almost 10 years since Paolo Maldini made his last appearance for AC Milan as a player, but the wait for the iconic figure to return home is finally over after he was officially unveiled as the club's new sporting strategy and development director. 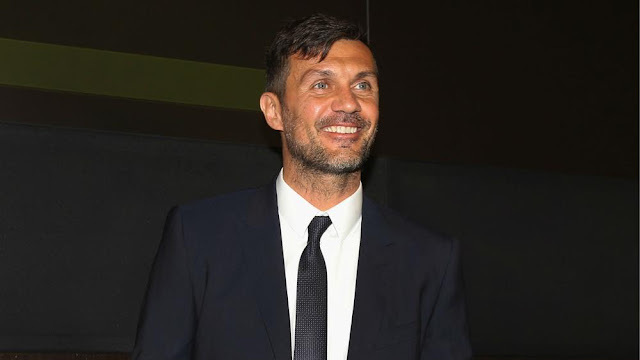 Having made over 900 appearances for the Rossoneri in a career spanning two and a half decades that saw him win seven Serie A titles and five European trophies among many other pieces of silverware, Maldini has already secured his place in club folklore. Further, he remains a much loved individual for fans across the world, having established himself as one of the finest defenders and captains to grace the game, along with his loyalty and commitment to one sole club that has seen his return celebrated by supporters and former rivals alike. However, he now returns with a new challenge ahead as after an unfortunate farewell that was marred by a section of supporters along with issues with previous management, the 50-year-old has decided that the time is now right for him to return to a club that his family hold so close to their hearts. With that in mind, the timing of his appointment says a great deal about the impact and influence that American hedge fund Elliott Management are having since taking control of Milan from previous owner Yonghong Li. This is far from a PR stunt to get fans on side, as Maldini has insisted every time he has been linked with a return to the club that he would only go back if he was handed a long-term and prominent position and believed in the project presented to him. Such a scenario failed to materialise during the Silvio Berlusconi era, with reports of an icy relationship between him and former CEO Adriano Galliani perhaps making it more difficult, while question marks over Li's financial stability following his takeover last year were enough to raise doubts for Maldini, who confirmed talks were held. The fact that Elliott have now convinced him says a lot about the seriousness of their work and of the vision that they have. They've moved quickly, efficiently and ruthlessly in the past few weeks in their overhaul of the hierarchy, and it appears to be paying immediate dividends. Albeit they have their own long-term financial motives too, from appointing Leonardo as sporting director coupled with overseeing the acquisitions of Gonzalo Higuain and Mattia Caldara along with playing a pivotal role in overturning Milan's European ban, it's fair to say that as far as first impressions go, Elliott haven't done too badly this summer.